I recently started a patient that has been seeing a physical therapist for the past 6months and has not seen any improvement. This patient was severely antalgic (walks crooked or sideways). I reviewed his MRI's and confirmed the presence of multi level disc bulges. I put him on the Spinal Decompression table for 30 minutes with a minimal force of 60 Lbs. he weighed 165lb. After 30 minutes of non Surgical spinal decompression followed by 12 minutes of H wave stim and ice and cold laser therapy he was much straighter. When a patient has a severe bulge or has been under care without a positive outcome a series of spinal decompression can really alleviate pain and discomfort. I am starting to see Medical doctors referring me patients. Most MD's have patients that don't get better with pain medication and they are tired of hearing them complain. 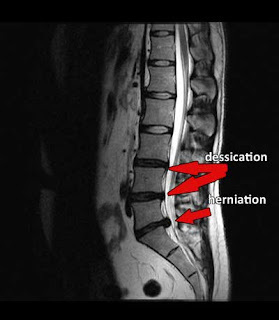 If a MD is educated about the effectiveness of Spinal decompression and the safety they will send patients. I am a Manhattan based Spinal decompression specialist, I focus on treating patients with Lumbar disc herniations and severe Back pain that have not been helped by tradational methods.